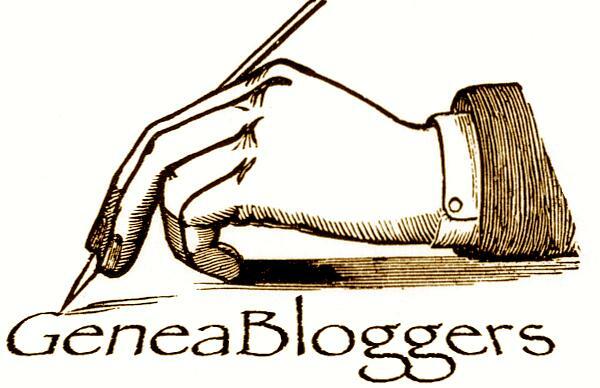 Thought it might be helpful to let other bloggers on wordpress know who I am and what I am about perhaps. Besides, that is also the first assignment in the Zero to Hero Challege! For my friends and famly, and readers who have yet to become friends, I am engaging in this 30- day challenge issued by wordpress to encourage their bloggers to become better at what we do–mainly, writing our blog! I am excited about actually learning about blogging and its techniques, because i just jumped in and started writing a little over a year ago! I wanted a forum, and I wanted to write, but most of all I wanted a place to write and interact with friends and family! Then there are the issues I love to discuss! Domestic Violence and Abuse are two of my most hated things, and I like to campaign against them , to keep reminding people of the damage it causes and how we need to stamp it out like polio! I am a fervant supporter of public education and its importance! Then there is genealogy…and gardening…two hobbies that I love and enjoy sharing snippets of whenever appropriate. But genealogy is becoming more than a hobby to me…I’d say a calling, a way to give a gift to my descendants. Others would say an obsession! LOL If you have read anything I’ve written in that category, you know that I love the stories…stories of my ancestors, and stories of all the new cousins I’ve met since doing my DNA on ancestry.com! Then there is my family of course. I know that is not as interesting to you as it is to me, so I will try to keep it at a minimum. But the title of my blog is “The Heart of a Southern Woman”…my heart is in my family…but also in my friends, my life! Spirituality and angels are another area I like to explore! I’ve had some experiences and I like to share them and to hear about others! Another question I’ve been playing around with…is… should I try to specialize in my blog…one for genealogy…one for gardening…one for red hatters..so that perhaps I would build up an audience with one subject matter? I think I prefer the different subject areas, but I do want to attract readers—so I’d love some feedback in that arena—should I lmit the scope of each blog? But ah, I forgot! This is part of my challenge, incorporating seveeral days’ assignments as I try to catch up! LOL Day six’s assignment was to insert a new element–new to you. So one thing I want to do is try to create and insert a collage of pictures, depicting the various subject matters I like to write about…I’ve never done a collage before, so lets”” just see how this goes! Categories: Information | Tags: Zero to Hero Challenge | Permalink. Personally, I like the shorter title: “Heart of a Southern Woman”, but either title works. As for whether you should focus your blog on a particular topic, it depends on what you want to do with it. If it continues to be a personal project for your friends and family, then keep it as a personal blog which covers a variety of topics. However, if your goal is to attract a lot of readers and eventually monetize the blog, then having separate blogs for each focus may be a better strategy. My two cents. What a precious friend you aare Linda McLaughlin! Thank you! Hi, Helen! You have a fascinating blog. I think you can have a successful blog that covers multiple topics, as long as your readers can easily find the topic(s) they are interested in. If you post a lot, multiple blogs would probably be better. I follow both kinds of blogs, but some probably prefer not so many diverse topics. I say go with what works best for you. Either way, each topic will demand attention, which is something I’m not all that good at. Perhaps a regular posting schedule is the answer there. I like your current, shorter title (Heart of a Southern Woman). I think it says you have stories to tell without explicitly saying so. Looking forward to see your next challenge post! Thank you for coming by and leaving a comment! I am struggling to get my blogroll up and running and looking like I’d like, as we speak! I cannot tell you how wonderful this challenge has been for me–I have learned a great deal!